Indexing the Society of Indexers can refer you to qualified indexers. Seeking permission(s) to use copyright material. Not only is this not a part of the proofreader's duties, but if permission is denied at this late stage, it can be costly. For example, if an illustration has to be withdrawn, this can have a serious effect on page layout. Permissions should be obtained before typesetting, if at all possible. 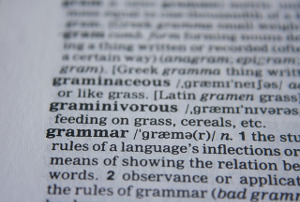 During a proofreading editors will check documents for any simple and complex English grammar errors. When you sned your document or paper for publication then you should try to check it for spelling mistakes and grammar errors. English grammar errors can influence the integrity of a publication. Proof readers belongs to the publishing team that try to make sure that academic paper look and read their best before they are submitted to print. Proof-readers should be able to recognise English errors and correct them. Some proofreading teams will have their editors and proof readers check and correct the documents while the writer check the work. Sometimes proof readers will have to check the same document several times. The proof reader work is not complete until the document is error free. Most of the proof-readers and editors can do their work from home if they choose it. Some proof-readers that work along can decide to edit and proofread academic documents, such as grant proposals for University. Proof-readers should work closely with students and other proof-readers to ensure every word in academic dissertation is formatted correctly and free of errors before it is submitted. Academic Proofreading Service will help to non-native students from a broad range of research Universities in preparing essay for submission to their tutors.